relationships. 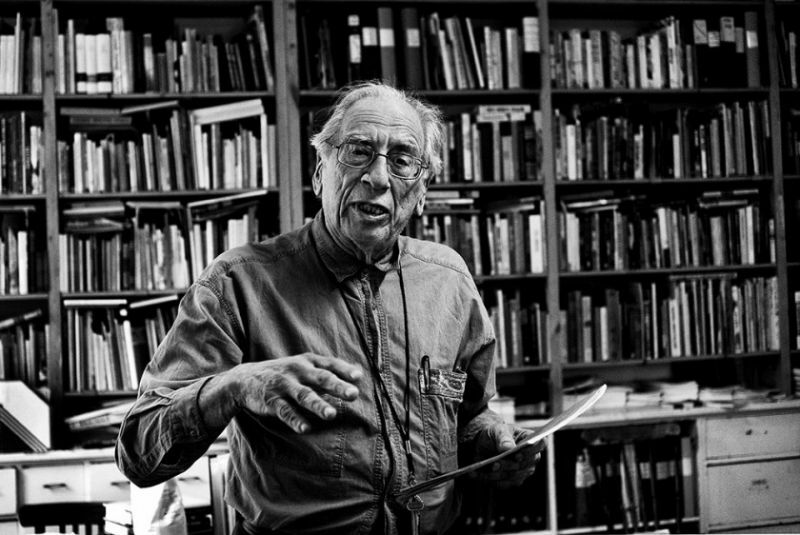 I don’t have the kinds of relationships that are built on any kind of false pretense, not to say that I haven’t. This masterpiece would have fitted nicely on “Highway 61 Revisited”.. where it did belong. 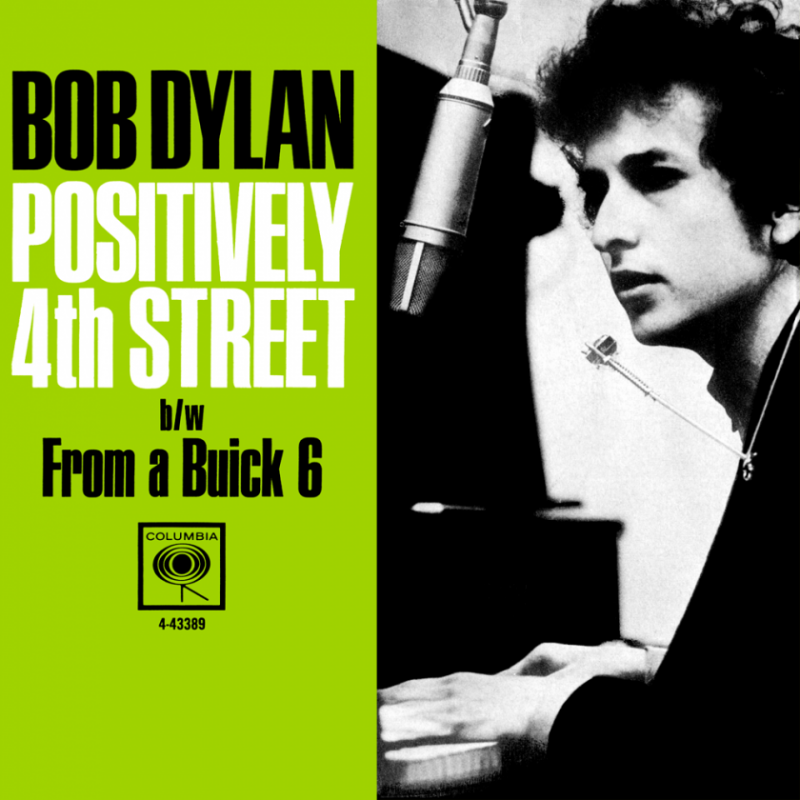 “Positively 4th Street” is a song written and performed by Bob Dylan, first recorded by Dylan in New York City on July 29, 1965. It was released as a single by Columbia Records on September 7, 1965, reaching #1 on Canada’s RPM chart, #7 on the U.S. Billboard Hot 100, and #8 on the UK Singles Chart. Rolling Stone magazine ranked the song as #206 in their 500 Greatest Songs of All Time list. 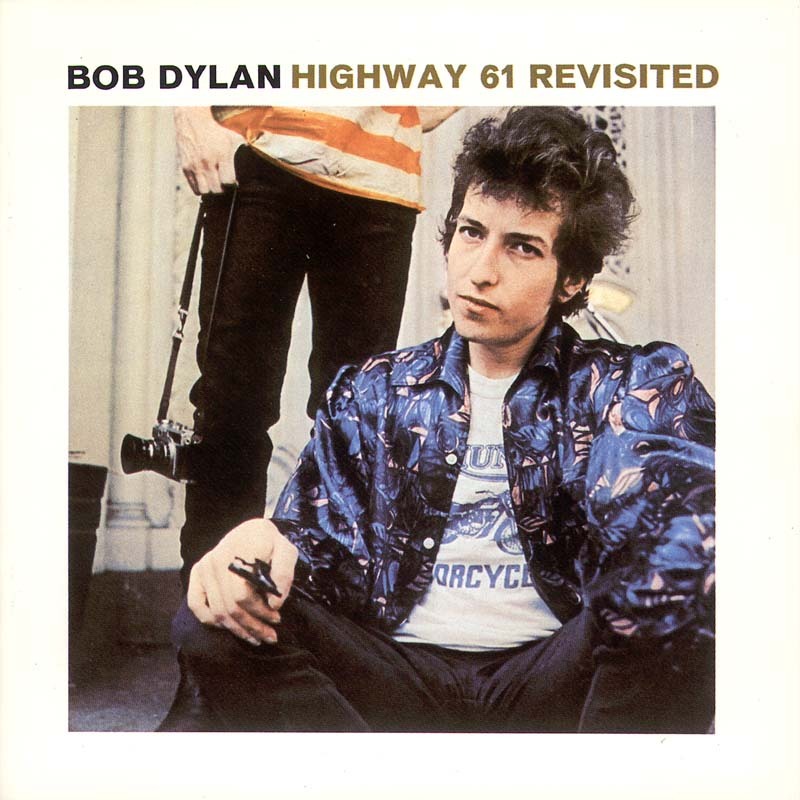 The song was released between the albums Highway 61 Revisited and Blonde On Blonde, as the follow-up to Dylan’s hit single “Like a Rolling Stone”, but wasn’t included on either LP. The song’s title does not appear anywhere in the lyrics and there has been much debate over the years as to the significance or what individual the song concerns. Dylan once lived on 4th Street in Manhattan. ..but no imitator has ever captured that wash of organ, those stabbing guitars – or the trickle of venom that lubricates Dylan’s throat, turning what might have been merely nasty in other hands, into something brilliantly poisonous. 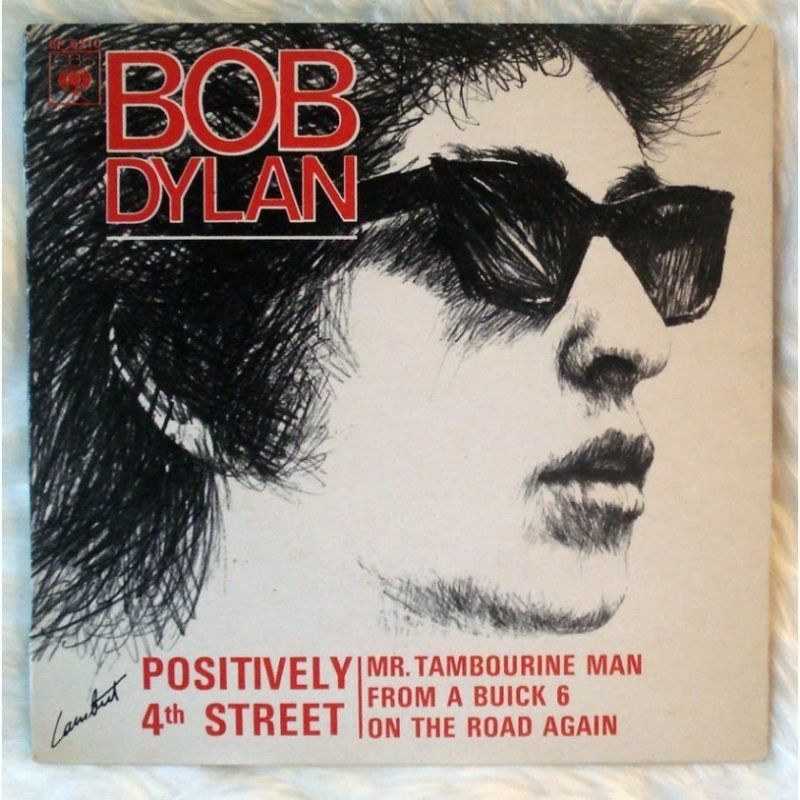 The master take of “Positively 4th Street” was recorded on July 29, 1965, during the mid-June to early August recording sessions that produced all of the material that appeared on Dylan’s 1965 album, Highway 61 Revisited. The song was the last to be attempted that day, with Dylan and a variety of session musicians having already successfully recorded master takes of “It Takes a Lot to Laugh, It Takes a Train to Cry” and “Tombstone Blues”. 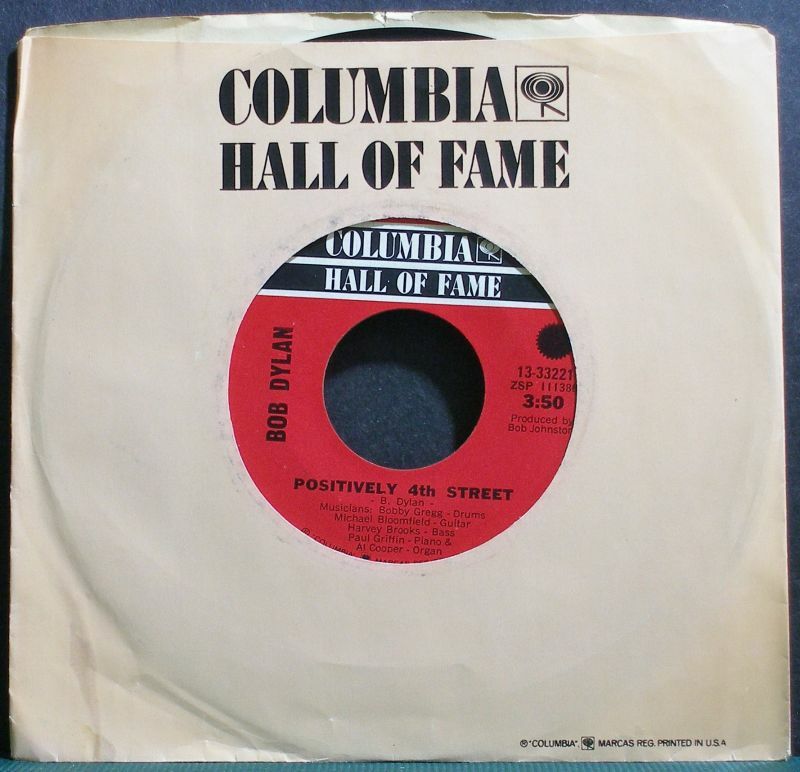 The studio band on “Positively 4th Street” featured Robert Gregg (drums), Harvey Brooks (bass), Frank Owens or Paul Griffin (piano), Al Kooper (organ) and Mike Bloomfield (guitar), with the song initially being logged on the studio’s official recording session documentation under the working title of “Black Dalli Rue”. There is uncertainty about exactly which “4th Street” the title refers to, with many scholars and fans speculating it refers to more than one. New York City’s 4th Street is at the heart of the Manhattan residential district Greenwich Village, where Dylan once lived. This area was central to the burgeoning folk music scene of the early 1960s, which centered around Dylan and many other influential singer-songwriters. For example, Gerde’s Folk City was originally located at 11 West 4th Street. However, the song also may concern Dylan’s stay at the University of Minnesota in Minneapolis, where 4th Street S.E. is one of the two main roads crossing through the part of campus known as Dinkytown, where Dylan lived and performed. Thanks for the Positively 4th St. post! Yeah, I would rank it around #12, as well…and certainly superior to the other (successive) follow up to Like a Rolling Stone, “Can You Please Crawl Out Your Window”. But, I wouldn’t say anything to Dylan about that while traveling together in a taxi cab–whether he be with Phil Ochs or Lenny Bruce. Re: They Sydney Show of April 1966: Garth Hudson sounds great here; Dylan does not. Nevertheless, thanks for posting it! Was it performed at all during the British leg of the tour?? I dont think I have the electric Sydney concert. Is it a full show?